Reducing sugar helps to create browning in baked goods. A reducing sugar is an open-formed sugar containing an aldehyde group capable of chemically reducing copper in an alkaline solution. In baking, reducing sugars serve the purpose of aiding in Maillard reaction (browning) by reacting with proteins at elevated temperatures. In fact, reducing sugars provide the very first step in the Maillard reaction by reacting with an amino acid (protein). 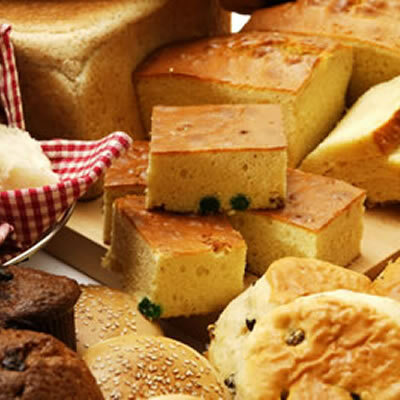 The browning reaction produced by reducing sugars is necessary in producing crust, desirable caramel colors as well as imparting great flavors to baked products such as breads and bread items, cookies, and cakes. All monosaccharides have reducing capabilities including glucose, fructose, dextrose, galactose, and disaccharides such as maltose, lactose and sucrose. Furthermore, starch and starch derivatives such as glucose syrup, maltodextrin, and dextrin contain reducing sugars. Sugars primarily found in baking applications are glucose, sucrose, lactose and high fructose corn syrup to yield a reaction. In addition, the size of the sugar affects the rate of reaction. Larger sugars react much more slowly than smaller reducing sugars. 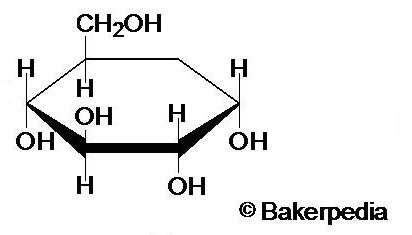 For instance the pentose sugars such as ribose will react at a much more rapid rate than that of hexose sugars including fructose or glucose and disaccharides like lactose. The level of reducing sugar added into a formulation depends on the desired final product attribute of the crust coloring and intensity of flavor. Visually, bakers and consumers can note that the darker the crust of a baked item, the greater the flavor. For example, biscuits are expected to have a slight caramel color with light browning on the crisp outer surface. Therefore, bakers know to formulate roughly 10-20% reducing sugar per the total sugar content. Besides granulated sugars, liquid reducing sugars are also utilized in syrups, with a typical reducing sugar concentration of 70-80%. Syrups are humectants, providing a mechanism prohibiting moisture loss, and consequently serve as a convenient method of imparting reducing sugars into bakery items. Like explained in the Application Section, about 10-20% less.